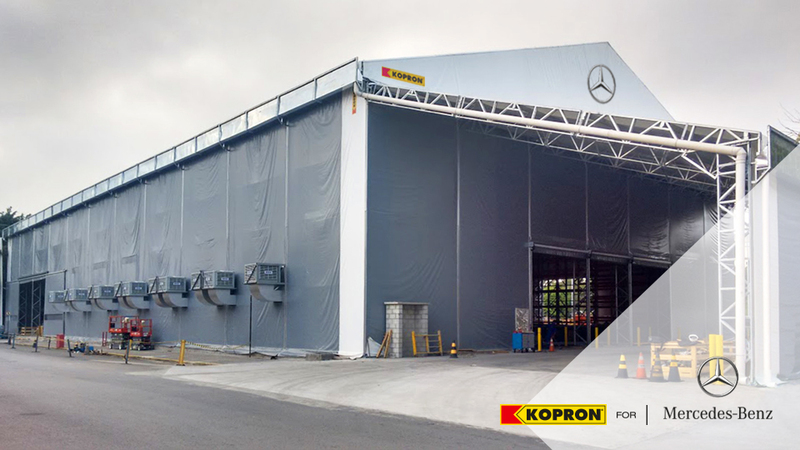 Kopron received a new recognition from abroad, for having installed at the historical building of Mercedes Benz at São Bernardo do Campo – São Paulo, a huge warehouse to store spare parts of this prestigious car manufacturer. 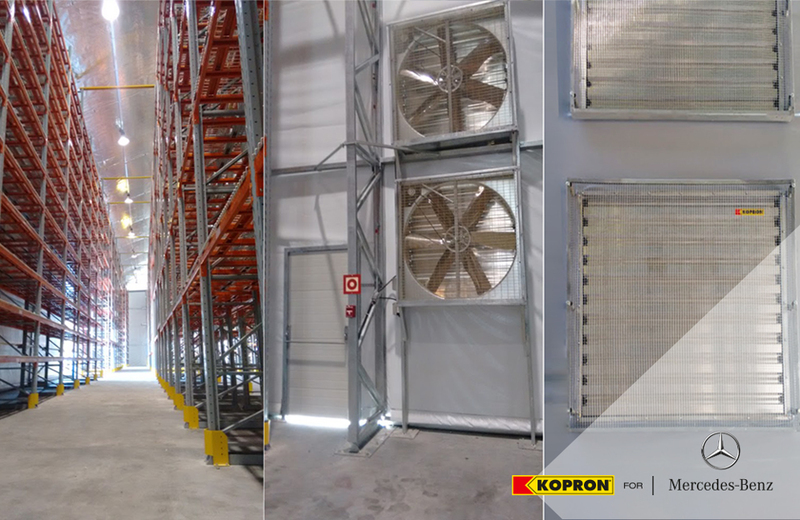 A Global Top player like Mecedes has chosen Kopron to create a 3000 m2 covered space in short time and flexibility. 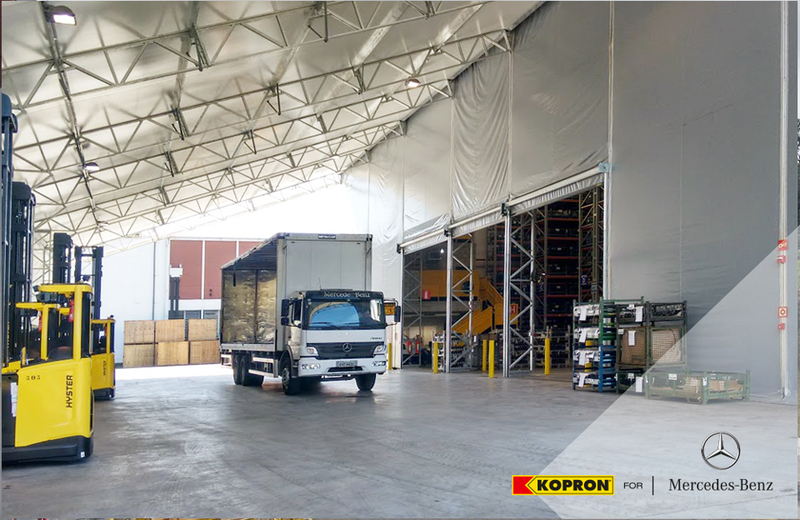 The warehouse has a PVC covering, with a steel carrying body, it is 36m large, 83m long and 12m tall, it is provided with all comforts to allow the best structural and logistics performance. 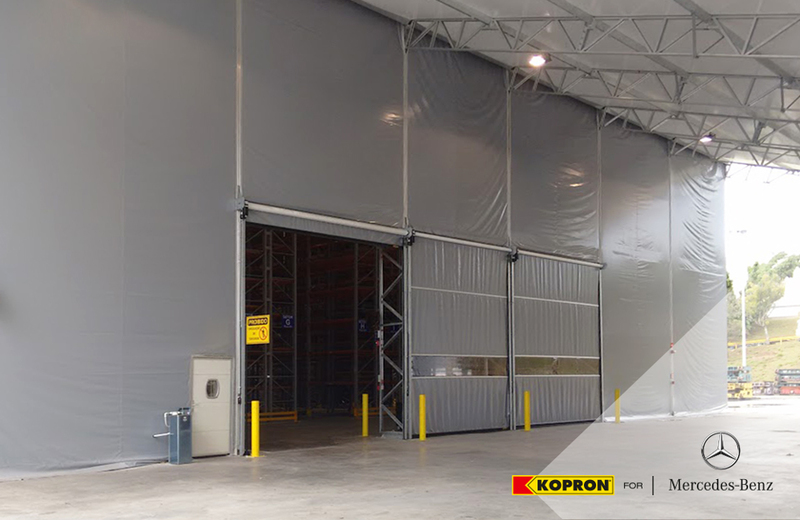 Kopron offered a turnkey solution which also included: six pedestrian doors, three fast opening doors in PVC, easy lines, automatic bollards to delimit the entrance of trucks, automatic ventilation, cost saving led light systems, water conveyances systems and a thermal-acoustic system all along the warehouse. 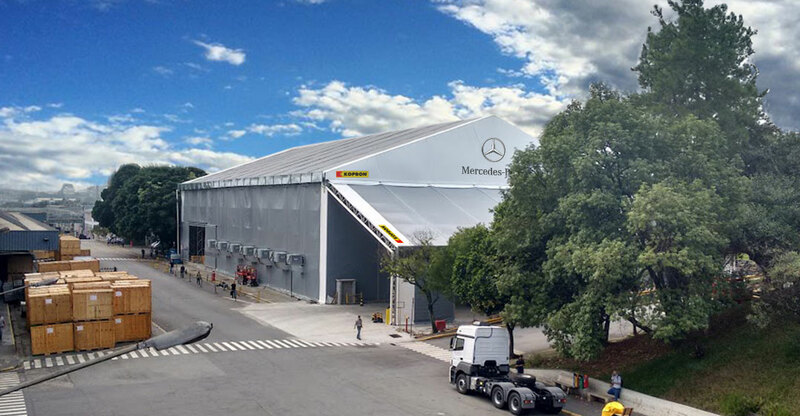 Mercedes Benz has been in Brazil since 1956, and started off in this particular location which is the biggest outside Germany. It isn’t far from São Paulo and manufactures tractors, buses and most of the spare parts.